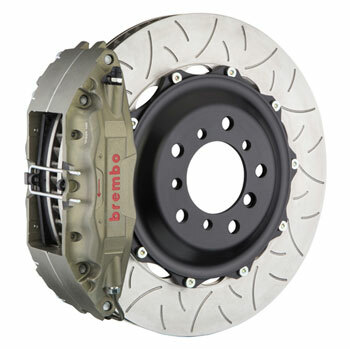 Brembo GT Brake System has been developed from racing components that are well proven in competition. The Brembo name is synonymous with breaking performance and is ubiquitous in the realm of ultra high performance and exotic cars. Two-piece discs that for maximum braking efficiency. A floating disc mounting system is utilized for optimum heat dissipation. A choice of friction materials for Endurance and Sprint races. For non carbon ceramic only. BMW Customers agree. When you want to STOP --- These brakes are worth it! Call or Email if you have any BBK questions!